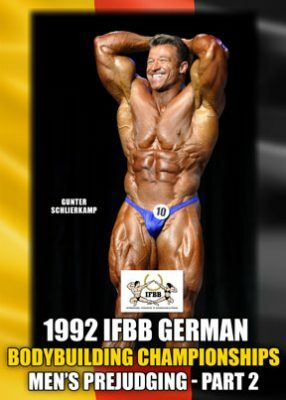 Men’s Prejudging # 2 from this classic German contest. Light heavyweight and heavyweight, as well as the three junior classes. The overall titles was won by Ingo Fischer – Not Gunter Schlierkamp as you would expect.